Carved Pumpkin & Picked Raspberry Distress Inks,Ebosser, Martha Stewart scoreboard, Memory Box Rhapsody Stencil, Spellbinders Majestic Labels Twenty-Five Die, Clarity Brushes, white cardstock, pearls, rhinestones & adhesive. 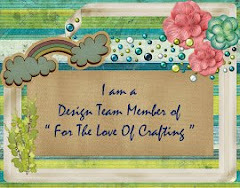 Cut a 6" x 6" piece of pattern paper from Tropical Paradise Paper Collection & adhere it to a same size card base. 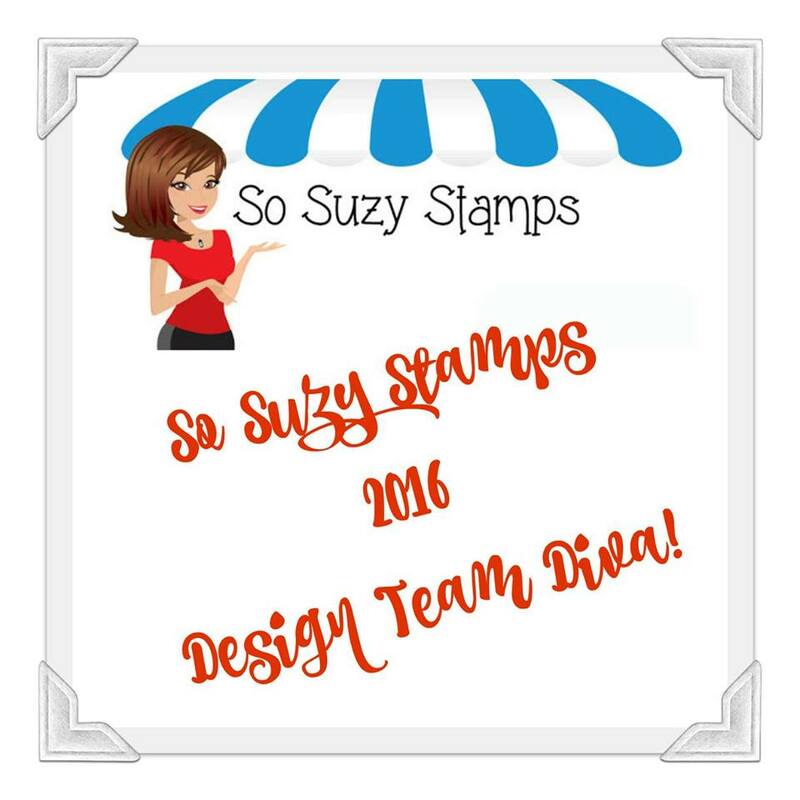 Die cut the border of a 5" x 6" piece of white cardstock with Fleur Border Basics Die & score at every 1/4" using Martha Stewart scoreboard. Ink this pice using Memory Box Rhapsody Stencil, Carved Pumpkin & Picked Raspberry Distress Inks & Clarity Brushes. 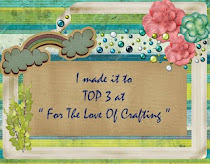 Adhere to the top of card base with foam adhesive. Decorate the border with pearls. Die cut a piece of white cardstock with Spellbinders Majestic Labels Twenty-Five Die & adhere to the card front as shown. 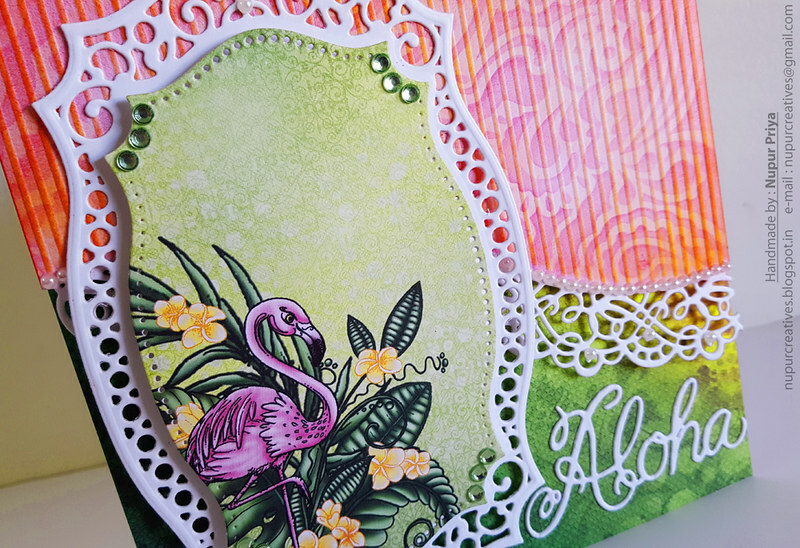 Die cut a piece of pattern paper from Tropical Paradise Paper Collection using the smaller die from the same set & adhere it to the previous die cut using foam adhesive. 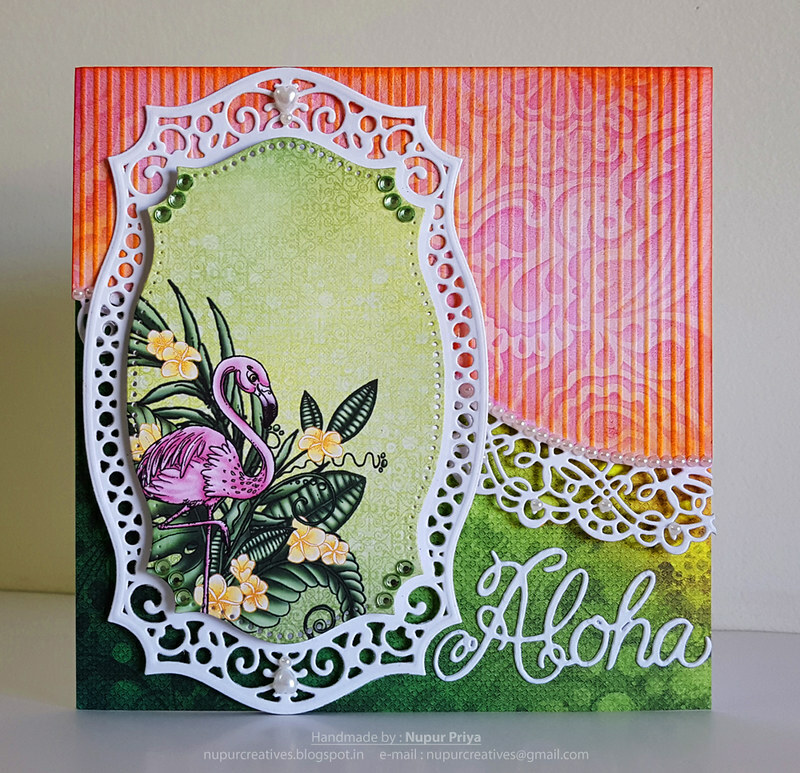 Die cut the word Aloha using white cardstock & Tropical Parrots Die. Adhere it to the bottom right of the card. Add some rhinestones & pearls to add finishing touch to the card. 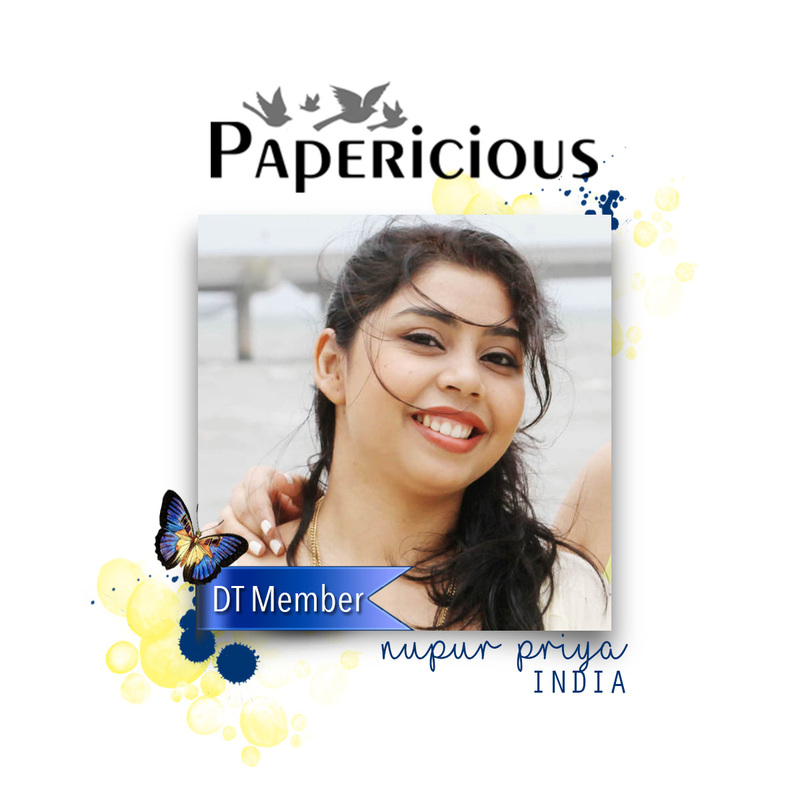 Nupur, this is so pretty! 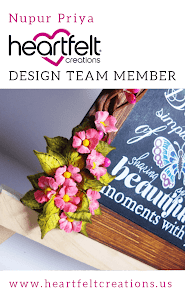 I love all the die cut work! This is so creative! Love all the attention to detail!